It was one of those exceptional Test matches that did not throw up a victor, but was never short on drama. The year is 1992 and on a warm January morning, on the only pitch in Australia that has a reputation as a turner, India and Australia clash at the SCG for the third Test match of the series. And they seem to have vastly different perspectives on the pitch. 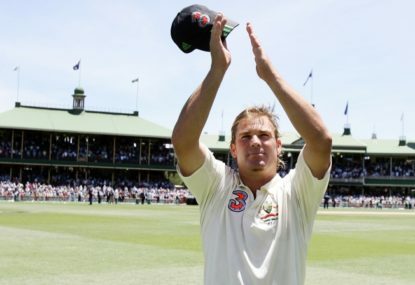 In deference to the pitch’s reputation, notwithstanding the hard surface and the sunny skies, Australia favours wrist spin and replaces off-spinner Peter Taylor with debutant leggie Shane Warne. Meanwhile, India replaces slow left-arm spinner Venkatapathy Raju with a fourth fast bowler, debutant Subroto Banerjee. On that first day, under the blue skies, and on the hard pitch, India’s decision looks the better one. With Kapil Dev and Manoj Prabhakar unable to get a breakthrough, captain Mohammad Azharuddin hands the ball to the Banerjee ahead of Javagal Srinath. In a wonderful 18-over spell, giving away only 47 runs, the unassuming boy from Bihar has dismissed three of the top batsmen in the world. Boon remains not out on 129 and Australia is finally dismissed the next day for 313, thanks to Boon’s knock. The Indian batsmen then bat magnificently, with Ravi Shastri scoring a superb double century, and a young Sachin Tendulkar remains not out on a mature 148, becoming the youngest man to score a Test century in Australia. The weather plays truant with bad light and rain, causing 94.1 overs to be lost on the third and fourth days. A tired Ravi Shastri is finally dismissed for 206 runs when Dean Jones takes a catch to give the Australian debutant Shane Warne his first Test wicket. Unlike his fellow debutant, Warne’s figures are not so impressive. He bowls 45 overs and picks up that sole wicket, conceding 150 runs. India bats on until the fifth morning, before being finally dismissed for 483, taking a 170-run lead. While many believe the tourists have left it too late, Kapil, Prabhakar and Srinath pick up a wicket each, and then Shastri gets into the act on a pitch which is turning and now uneven, picking up four wickets for 45 runs. Border and Warne manage to bat out the remaining overs to finish at 8-173, just eight runs ahead of India. Bizarrely, the man who has bowled so well in the first innings, Subroto Banerjee, does not get to bowl a single ball in the second innings. In fact, he never gets to bowl another ball in Test cricket, and is destined to be forever referred to in cricketing history as a one-Test wonder. The other debutant, who takes one wicket for 150 runs, retires from Test cricket 15 years later as arguably the greatest spin bowler in the history of the game, having taken an astonishing 708 wickets in 145 Test matches. Banerjee ends the tour at the top of the averages with 15 runs per wicket. Javagal Srinath, his fellow pacer, finishes at the bottom, with 55 runs per wicket. Was it a case of just being unlucky, or as was often the case in India until recently, was it the lack of a ‘godfather’ in the system and the unfortunate victimisation by the zonal selection quota system in play? We shall never know. Banerjee eventually decided to give up the fruitless quest to get back into the Indian Test side and after a few years moved to Australia, marrying a local girl. There he qualified to become a coach, to finally have the second innings spell he was denied so many years ago at the SCG. And that second innings is proving of immense value to both countries. For a six-month period, Banerjee was a coach to Mitchell Starc, who is currently shattering the stumps of triple centurions in India. He was also instrumental in shaping up the bowling action and style of India’s top fast bowler, Umesh Yadav, who calls Banerjee his mentor. Yadav, after that stint with Banerjee, has been an unrecognisable bowler over the past year or so. With the word now out on the street that Banerjee has for some time been giving pointers to a certain Arjun Tendulkar to prepare him for the higher level of the game, besides enjoying his successful assignment as coach of the Jharkhand team, Banerjee’s second innings may well turn out to be even more valuable than his first. Cricket will surely be the richer for it.